Heat pumps are a component of many Lexington homes and businesses, providing efficient comfort and warmth this winter. Occasionally, heat pump users may experience one of the following issues and concern may arise. The issues below are fairly common, and often, some quick troubleshooting by the user can restore function without a service call to the pros. Remove any snow buildup surrounding the unit to allow air to flow in properly. Check the gutters above the unit; ice dams and blockages can cause a large amount of water to spill over the gutter’s edge, onto the heat pump. Fix any issues you find with the gutters to protect your heat pump. Heat pumps heat interiors by extracting heat from the air outdoors. When temperatures are below freezing, it may seem as though your heat pump cycles constantly – that may be necessary to adequately heat your home through extreme cold. If outdoor temperatures are mild or above freezing, your unit should cycle off once your home has reached the appropriate temperature. Look for snow and ice buildup – when the heat pump runs a defrost cycle to rid itself of this accumulation, it may seem like it is cycling non-stop. If you notice these conditions, give the unit a few hours and check back to see that the issue has resolved. 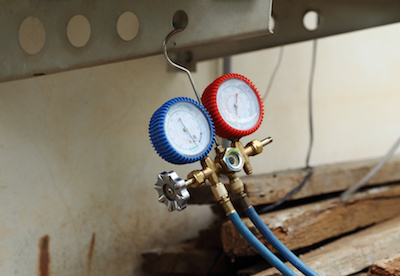 Check your thermostat – faulty connections and bad settings can cause the heat pump to cycle constantly. Make sure wiring is snug and the temperature is set appropriately. If these tips don’t correct your heat pump’s function, or you feel more comfortable with a pro working on your system, contact Climate Control right away. Our NATE-certified technicians will diagnose your heat pump issues and provide dependable repairs to restore comfort. While your furnace is housed inside your Lexington home or commercial building, its condensate drain line does run outside….